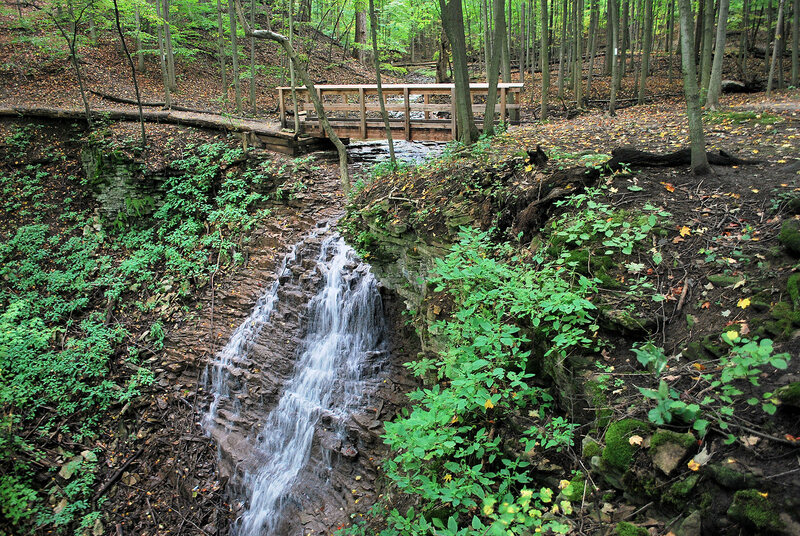 Canterbury Falls is located on Canterbury Creek, which is a tributary of the Sulphur Creek. 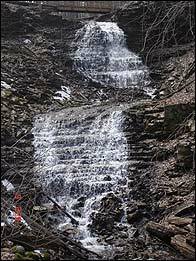 It is a Terraced Ribbon Cascade 9.5 metres (31 feet) in height and its crest width is 3.3 metres (11 feet). 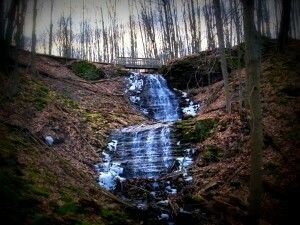 This waterfall enjoys year-round flow. 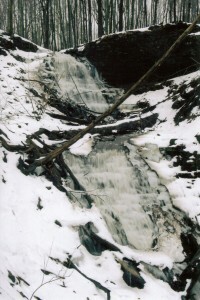 Canterbury Falls is located on property once owned by the Milne family. Lieutenant Willam Milne (1766-1826) bought the land in 1819. After William Milne’s death, the heirs sold all the land to James Milne in 1832. In 1845, the property was sold to Alexander Tower. In 1960 it was purchased from the Hamilton Lions Club by the current owners, the Anglican Church of Canada, Hamilton Diocese, which operates the site as conference retreat, church and children’s camp. 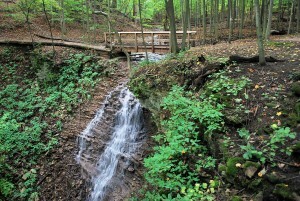 In late 2007 and early 2008 the Bruce Trail Iroquoia Section built a new bridge over Canterbury Creek at Canterbury Falls. 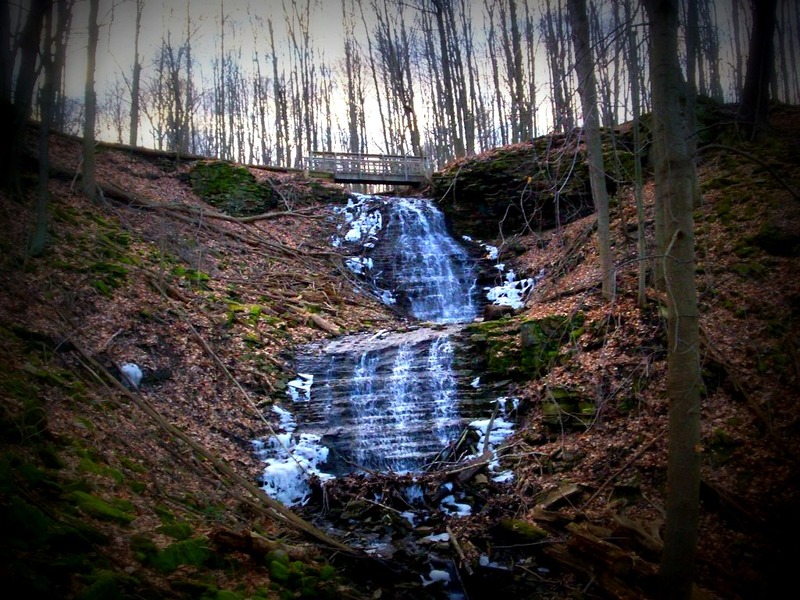 To reach this waterfall, take the Canterbury Falls Side Trail from the Bruce Trail. There is an HCA parking lot on Merrick Lane. The entrance gate is at the east end of Lion’s Club Road. Parking costs $10. The trail between Sherman Falls and Canterbury Falls has been closed – please respect the property owners wishes.